Welcome to Week Five of your 5K training. We have been having a blast working out with everyone on Saturday mornings. There is nothing like registering for a training meetup for motivation and accountability. Sign up for this week's training meetup at GBMC! 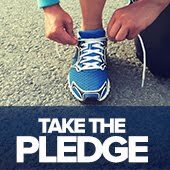 This week, your total mileage goals increase! Woo-hoo! We know you're excited. Starting on Saturday, we bump up the intensity, increasing your pace. You got this! You may recognize Xavier from the COMPto5K meetups, posting in the Facebook support group or from working out at Planet Fitness. 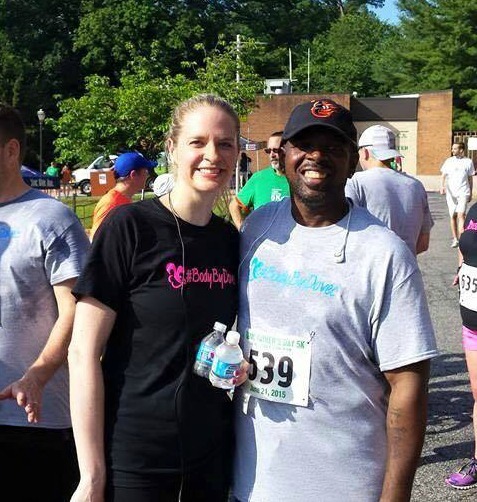 A motivated runner and remarkable COMP success story, Xavier is a great asset to Team COMPto5K. We asked him a few questions for this week's blog post. 1. 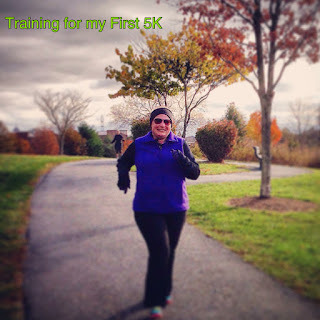 How did you get into races after weight loss surgery? I got into races because I wanted to complete something I hadn't done since I got out of the service. 2. Did you ever think you would be participating in 5Ks? No, I never dreamed it, but I'm so glad I started doing them. 3. What do you like about running? I love the freedom that I feel when I'm running. It's a great way to relax, relate, and release. It's time to clear my head. 4. What's been your biggest non-scale victory (NSV) since weight loss surgery? My biggest NSV was my change in careers, becoming a fitness instructor at Planet Fitness. 5. What words of inspiration do you have for other COMP patients who have registered for their first 5K? Words of inspiration, let's see. It's mind over matter and the mind doesn't matter. It's a military saying that simply means, you can do anything you want to achieve as long as you don't out think yourself. So many times we get it in our head that we can't do something that we physically are able to do. Get out of your own way is my second piece of advice. With Dr. Dovec at the 2015 Fathers Day 5K. Welcome to Week Four of your 5K training. Thanks to everyone who participated in a virtual training meetup this past Saturday! We loved seeing your photos in the Facebook support group. This week, continue to walk and focus on covering your mileage goals. Mileage goals increase next week, so give it your all at your current training level! If you decide to jog, alternate walking and jogging every four minutes throughout the duration. Sign up for this week's training meetup at GBMC! Growing up, I always admired the people I knew who ran races. I was in awe of their dedication to it. I guess the reason was that I never imagined that I would ever be a runner. After hearing horror stories of people messing up their knees, I was afraid of running. I was in the Marching Band in Junior High and High School and I hurt my knee doing that, so I couldn’t imagine the damage I would do if I ran! Before my surgery, during all of my preop appointments and preparation for surgery, it occurred to me that surgery alone was not going to get the job done. At least not to where I wanted to end up from this journey. 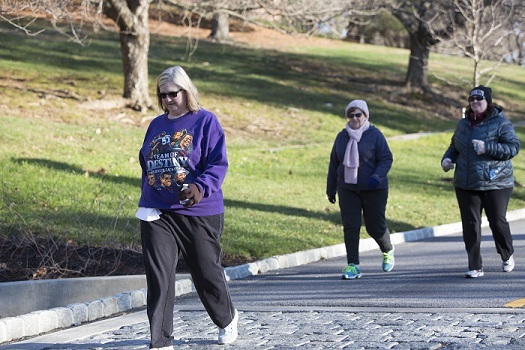 I met with Liz Dumont, who runs Bariatric Boot Camp, and looked at all of the possibilities she offered for an obese person like me to create an exercise regimen. I joined her Boot Camps, and though I often felt like I was dying, I found that, at the very least, I enjoyed the social aspect. Honestly, in the beginning the social aspect is what kept me coming back, because outside of my father and a couple of my best friends, I really didn’t have many supporters. I know this is a common story among bariatric patients, and is one of this biggest reasons my newfound COMP family is so important to me. Liz arranged a Couch to 5K, called Be the Change. It started in September 2014 when I was less than a month postop and ran through early November. She had a woman named Jan who is a marathon runner come and help us train for the 5K. I figured what the heck? The only negative aspect was the training at 8 a.m. on a Sunday morning. To be completely honest, I did not really take the training seriously at first. I found every excuse to not run, mostly that my knees hurt (which they did, but would have gotten better with training). During the training I made acquaintances. Other than Liz, I did not really bond with anyone though. Back then I was still very shy (I know… That’s surprising right?). We did our training and then the race came on November 9, 2014. Not one person in my life showed up to support me for my FIRST 5K. I kept thinking, “I did this for myself, and no one else but myself.” Repeating these words helped to keep the tears back. I really wanted to finish in under an hour and I finished my first 5K in 54 minutes and 3 seconds. I was happy and I was definitely proud, but the most impactful part was the realization that I really didn’t do any of this for anyone BUT myself, despite my original motivations. My second 5K was the Ugly Sweater 5K on December 7, 2014. I had a few friends and family members tell me they would do this one with me. I signed up because it sounded like fun. Much to my surprise, I found out only a day or so before that not one of them actually followed through. These are people that I have shown up for so many things for their children, so my feeling were hurt. I decided, “Well I paid for it and I made my ugly sweater, I might as well just do it”. After all, “I did this for myself, no one else but myself.” I dressed up in my silly getup and went and completed that 5K. 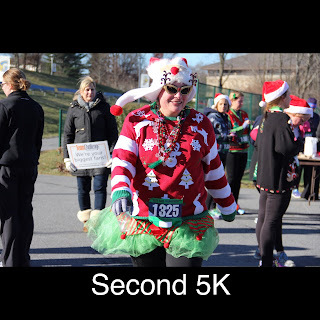 I completed that 5K in 53 minutes and 31 seconds. I was second to last to finish in my age group and I finished 134th out of 144 participants, BUT I finished. I had mixed emotions after this 5K. I was proud of myself because I showed up and finished, but I was sad too, because I did so alone. During the Winter of 2015, I started having issues. I literally felt like I could not control my mind. Between the chemical changes taking place inside my body due to weight loss surgery, the chemical changes taking place in my body due to aging, and medication adjustments while trying to get off of all of my meds, I was an absolute mess. I ended up checking myself into Sheppard Pratt, where I was diagnosed with bipolar disorder and stayed as a patient for 10 days. One day I was driving there and I heard the song “Fight Song” by Rachel Platten. The words instantly grabbed me and I immediately started crying. This is now my theme song! Imagine my surprise to look in my rear view mirror to see my biggest/harshest critic (other than myself of course) sitting at the light behind me. She didn’t even realize that I was there. This person is my mother. That was some serious irony right there. The woman who I wanted to have a relationship with all of my life, who I wanted to notice me was there right behind me and was clueless. This is the person I inherited this disease from. No matter what I could never earn her respect, approval, or her support and she was one of the ones I wanted it the most from. That was really a true realization for me. I had started doing some running before I signed up for that race, but it was the idea of this race that kicked me into high gear. This is when I started to love to run. It became almost like an addiction. I felt guilty if I missed a run. It was becoming religious for me. No matter how hot it got during the summer, I was out there. There was nothing better than it being just me, my music, and my water bottle running. It was “MY” time. It was my quiet time. It was my “nothing in the world can bother me” time. I found myself wanting to go further and stay out longer. Each time I wanted to make myself sweat more than the last. I couldn’t believe this was me, but I was liking who I was becoming. I was happiest when I was running. nervous and a little scared. This was a big moment for me. I was focused on not only finishing, but making sure I gave it my best. I did not allow myself to stop at the top for a photo session, like so many other participants did. I was there to run. I almost felt I had something to prove to myself. As I was approaching the finish line, I almost didn’t make it because I couldn’t see through my tears. I was overwhelmed with so much pride and joy. I finished my first 10K in 1 hour 11 minutes and 18 seconds. I found myself wishing I could do it again the next weekend. I never thought for one second that I would ever be a runner. I never thought I’d look in the mirror and see an athlete. I never thought I’d look in the mirror and actually like what I see. I see all of these things now when I look in the mirror and I am amazed at the woman I have become. It only took me 40 years to get here. Don’t get me wrong, there are days that I look in the mirror and see the obese girl I used to be, but I don’t think I will ever not see her every so often. She is a part of who I was so she’s still in there a little bit. There is nothing that I do not love about running. Okay well I don’t like that it’s expensive, but other than that, I just love everything about it. That is when I am guaranteed to be on my own time, doing what I want to do and the only obligation I have is to myself to push a little harder. Some people meditate; I run. It provides the same peacefulness and calmness for me. Since August of 2014, I have had many successes. I have also had quite a few very trying times. I even experienced the scariest time in my life. Through all of this I learned that the only acceptance I need is my own. I learned how to be proud of myself. I learned how to celebrate myself. I learned that there are some people who will just never be there, but that’s okay, because I don’t need them. If someone doesn’t want to be present during my celebrations, it is their loss, because I am just going to keep on celebrating. It is because of my new found love of running, that all of this has become my victories. I have started making friends in my running world who enjoy doing the races as much as I do, so it takes the sting out of not having anyone from my personal life waiting at the finish line. I have successfully completed four races to date. In 2016 I registered for 10 races (did I mention how addictive it can become?). I am registered for three 5Ks, two 10Ks, a 10 Miler, a 12 Miler, and three Half Marathons. I can’t wait to see my progression with each of my races. I even have more races I want to do, so they are on my radar for 2017. There is no reason to be nervous or scared about a 5K. Personally I think it is not correct to call it a race. You do not do a 5K to compete with anyone else. There is nothing competitive about it. It’s about getting out there and doing your best. Being nervous or scared only says that you are putting too much pressure on yourself. You need to believe in yourself, but you also don’t need to be so hard on yourself. 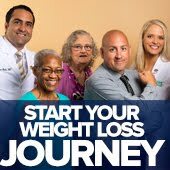 The simple fact that you are going to participate is miles ahead of where you were when you were obese. Don’t forget to pat yourself on the back and be proud of yourself. Trying is succeeding. S.M.A.R.T. Goals, Brick Bodies, and YOU! Happy New Year from Brick Bodies! Thinking about what you want to change or achieve during 2016? Goal setting is a great way to ensure that you meet your objectives. Whether your goal is to be able to walk the Father’s Day 5K or beat your previous run time, you want to make sure that you make your goal S.M.A.R.T.! Specific: The more specific your goal is, the better! Measurable: Know what you have to do to reach your goal. Attainable: Don’t set yourself up for failure! Relevant: Is this goal something you truly want to do? If so, you’re more likely to stick to it. Time-bound: Deadlines help put ideas into action! Incorrect: “I’m going to get ready for the Father’s Day 5K by exercising more." What S.M.A.R.T. goal will you set for 2016? Need a place to exercise during the cold winter months? Looking for extra motivation and guidance with your 5K training program? 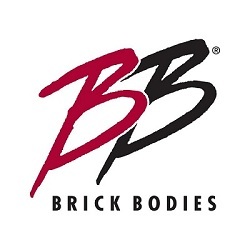 Join the Brick Bodies 60-day First Step Program! For more information and to enroll, contact Ranee Appleby, Medical Fitness Director at Brick Bodies. Welcome to week three of your 5K training. You're doing an awesome job! It was great to see so many people at Charm City Run for the shoe clinic last week. If you couldn't make it, check out their website for locations near you; proper footwear is so important for walking and running. This week, feel free to walk and just focus on covering your mileage goals. If you decide to jog, alternate walking and jogging every three minutes throughout the duration. It's cold outside this week, but don't be afraid to bundle up (in layers!) and get outside! This week, feel free to walk to cover your mileage goals. 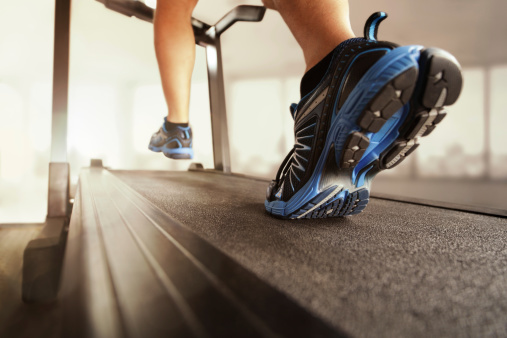 If you want to jog, alternate walking and jogging every two minutes throughout the duration. Don't forget! The FREE Charm City Run Shoe Clinic is this Thursday at 6:30 p.m. Sign up now! Train with the COMPto5K team! 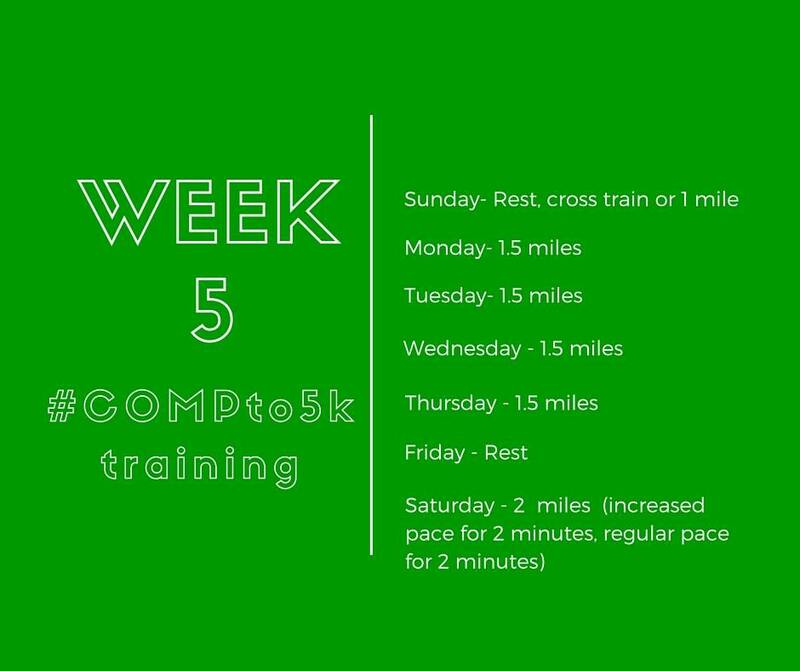 Get your COMPto5k training on. Our next meetup at GBMC is TOMORROW! 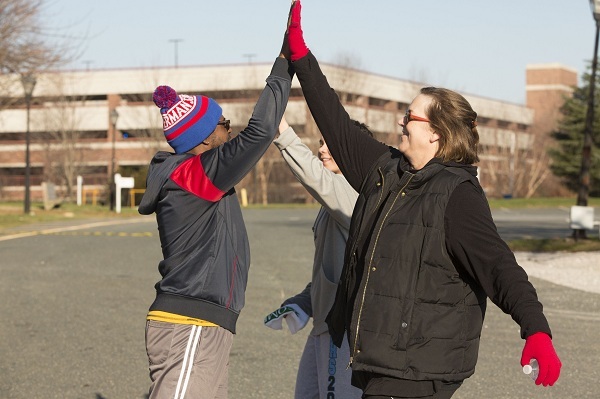 Last week's first training session was a blast- 37 people braved the cold and came out to get in a workout. Who: COMPto5K participants along with friends, family and supporters. All are welcome! Where: Meet in front of the South Chapman Building - 6545 N. Charles Street, Towson, MD 21204. Plenty of free parking. 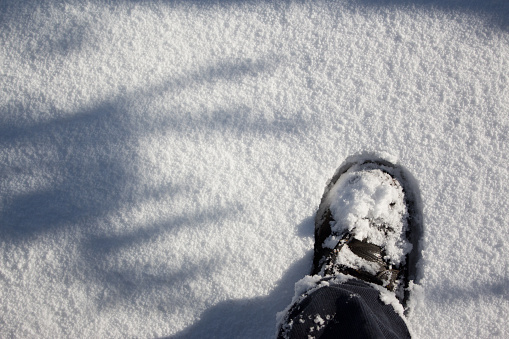 What to bring: Water bottle, cold weather gear, and a positive attitude. GBMC's Comprehensive Obesity Management Program (COMP) is committed to providing a weight loss program that is truly comprehensive. Studies show that physical exercise can not only aid in weight loss but also help with maintaining weight loss over time. Join Team COMP in the Father's Day 5K on June 19, 2016!